Hello friends! Hope everyone had a fabulous weekend! I'm getting more and more excited as each day passes and we inch closer to Christmas. Has any put there tree up yet? Started on their shopping?? I've done neither. The tree usually goes up a day or two after Thanksgiving. And as for shopping, I really want to start on that A-SAP! We also have a winner in the My Memories giveaway! Congratulations to #3, Jess from The In-Between... I'll email you shortly! Ok, I'm off to tackle my to-do list! It's never ending! love the image! so cute. i haven't started decorating yet, but i think that the shopping will start pretty soon! Oh-Em-Gee! I won?!?! Wahoo!!!! This made my Monday bright and cheery! your blog is gorgeous! looking forward to your christmas item/wish-list! We cut our tree down in the mountains the day after thanksgiving (snow permitting). I'm ready, bring it! Shopping yes. Just leaving some behind for the frisson of the last hour ahahaha. Decor not until December the 8th. 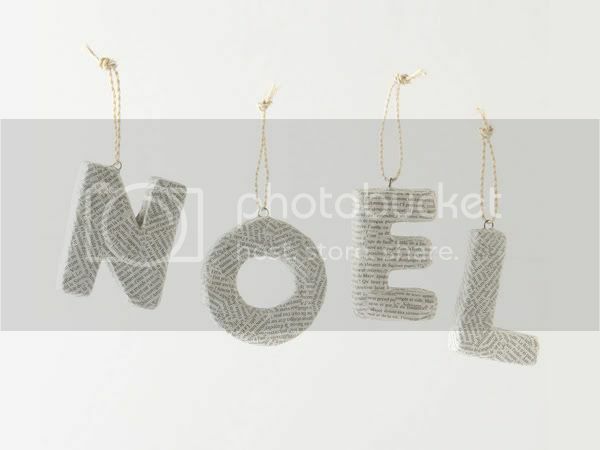 But I need to speed up with some crafts I want to do - those letters are lovely and a great idea for Christmas window decor. Bye lovely and enjoy your listings. definitely getting excited for christmas!! and i sooo need to get started on shopping too! hope you have a great week lady! I really ant to shop too! Looking forward to your holiday roundup!